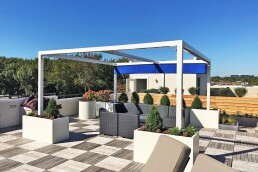 Located in Washington D.C, this private residence with rooftop terrace is no house of cards. 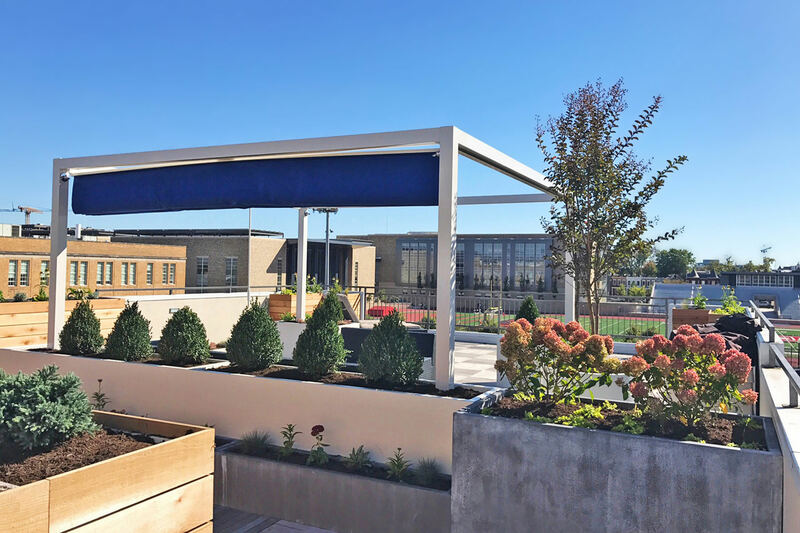 Built with modern flair and design, the outdoor space is covered with a custom outdoor structure surrounded by chic planters, carefully selected landscaping features and outdoor furniture. Conceived by the brilliant minds at Oldetown Landscape Architects, the rooftop is the perfect space for entertaining, relaxing and privacy. 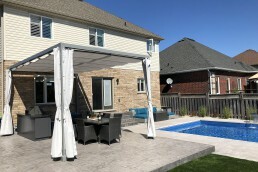 To finalize the design, we collaborated on a custom outdoor structure solution that would elegantly cover the 14×14 entertainment space. 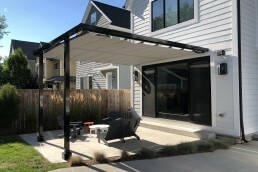 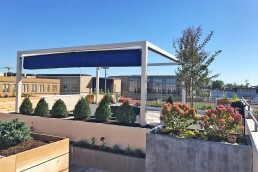 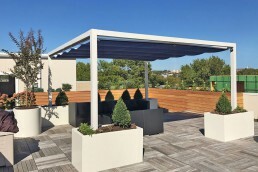 The bold blue retractable canopy provides maximum coverage from the elements that would otherwise disturb the enjoyment of an exposed rooftop space. 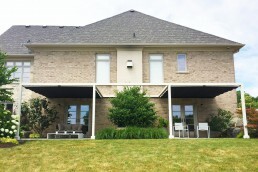 Throughout the entire process, we maintained a clear dialogue with the Oldetowne, resulting in a final product that fits in perfectly with the surrounding landscape.